Danza Performing Arts found its being in January 2008. It was simply an attempt to continue the work that we believed in thoroughly and passionately. We were artists who wanted to work towards strategies for reaching audiences without the mediation of traditional institutions or structures. We wanted to have a straightforward connection to society without having our work regarded as mere craft. While dance is the main source of creative energy here, the vision for the classes is to make dance a way of life and use it as a tool for enriching oneself fully. As we are evolving we are integrating theatre and music with dance to explore more hues of performing arts. The mission of the school is to bring contemporary dance to broader audiences and enable the students to utilize it for self-exploration. The philosophy of the school is empowerment through self-work and sharing, to encourage humility, gratitude and discoveries amongst self and others. The classes are designed to deepen inner connections by researching on transcripts present in mind and body. While we revisit the alignment of the body every class and we also work on flexibility, mobility, strengthening extra which are basic needs of every dancer. Techniques explored in classes are release (a contemporary dance technique), modern, jazz, classical ballet and yoga. While working on the body we work on understanding musicality and play with it for compositions. Annual public performances are used to strengthen performance skills. The beauty, growth and discovery one experiences while exploring an art form cannot be explained in words. What gives us the most satisfaction is to see the students, who initially come with many doubts, getting a sense of achievement, pride and growth. With consistent training, they begin to look at their own victories in disbelief as now they can pirouette, do a full split, roll backwards and even do lifts!!! When they clap for themselves "themselves" without provocation, our integrity as teachers gets reinforced. Our classes are held in 2 locations in Gurgaon (Sixth Element School, South city 1 and Beyond Fitness, Sec 40). They are open to kids (5 yrs onwards) and adults, with all levels of experiences including no experience at all! For more information do call us at 9990510719 or write to us at danzaextreme@gmail.com. Dilip wishes Swati and Danza all the best. Himself a keen explorer of breath and light, he works at the Karmic Research Centre, where he founded the Centre for Creative Expressions. He believes each human being has the potential to realise the creative channel they are and work towards Love and Light flowing unconditionally in a New World Order. Swati mohan is a dance artist and a spiritual seeker with a keen interest in writing, acting and music. Trained in contemporary dance, jazz, classical ballet, yoga dance and bharatnatyam, she is also a certified Yoga teacher (Bihar School of yoga). Teaching is her passion and she has an experience of many years of teaching with all ages. She has been dancing since the age of 5yrs and started her formal dance career with The Danceworx Performing Arts Academy (a jazz and contemporary dance company based in New Delhi). She began her independent journey as an artist in 2007 and discovered dance as a creative practice in the light of spiritual growth. Her approach to movement and creation revolves around organic connection between body and mind. She uses movement, text, sound and energy work as a tool to break conditioned patterns by exploring and deepening the "inner connections". 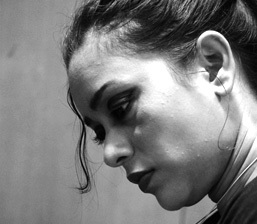 Her past works are duets titled "Glass on the edge" and "Doha" (created during 6 weeks Gati summer dance residency 2009). 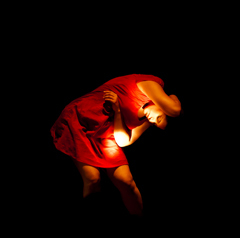 She was invited as one of 10 choreographers to present her work titled "Ways of seeing", in Prakriti Excellence in Contemporary Dance Awards, Chennai (India) in 2012. She was also invited as one of the 7 choreographers for Dance Omi Dance Collective Hudson, New York, an international choreographers’ residency in Aug 2013. Being one of the choreographers featured in "Brooklyn Looks East" festival of contemporary dance in New York in Sept 2013, she is also a visiting faculty member in National School of Drama, New Delhi. Sketching dance for school students, theatre and dance professionals as well as experimenting with her- self keep her connected to universal creative energies. She believes in miracles, and dance choosing her after Zoology Honors and 4 years of an advertising stint is no less than a miracle for her. She continues to stay engaged in creative expression and in the process find many more miracles awaiting. Supriya Babbar is a practicing Physiotherapist with nine years of clinical experience at private hospitals like Max New Delhi. She simultaneously began her dance training in 2005 in styles like Jazz, classical ballet, chaau and contemporary dance with The Danceworx Performing Arts Academy, Russian Centre of Science and Culture and Sadhya. She completed a three month intensive training program called Vitamin 'G' designed for professional dancers by The Gati Dance Forum, New Delhi and also attended workshops on Dance therapy facilitated by Tripura Kashyap. She further became a part of designing and execution of a dance appreciation program for children by The Gati dance forum called the Left Foot Right. She has performed at various festivals like IGNITE festival of contemporary dance 2012 by The Gati Dance Forum, Prakriti Excellence in Contemporary Dance Awards Chennai 2012 and Bharat Rang Mahatsava 2013 by National School of Drama, New Delhi. She has performed solos at YWCA festival and other dance theatre shows at various events. Her association with Danza started in the summer of 2013 where she performed and taught for Danza's annual show titled "who,what,how - A sorted confusion". She strongly believes that the treasures in movement and dance are not technique bound. She envisions dancers to have freedom in their vocabulary rather than cliche's of an acquired technique. Her ongoing dance training and teaching experience at Danza has brought a new direction to her prime vision of dance. The anatomical information learnt and practiced during her academic physiotherapy years has inspired her to emphasize 'safe practice' in dancing which she strongly believes is the need of the hour for each dancer. At Danza, she continues her exploration of movement and dance through three main streams: training, teaching and creating. 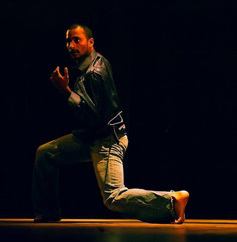 Rakesh is a freelance dance artist who loves to teach, collaborate, create and perform. He started his career as a bollywood dancer in India at the age of 16 while he simultaneously trained in Kalaripayattu (martial art form from Kerala). Later in 2003 he was introduced to contemporary dance at Attakkalari centre for Movement Arts, a contemporary dance company in Bangalore where he worked for 5 years as one of the main company dancers. He performed at various international festivals while touring with the company. He also performed at the Rashtrapati Bhavan, Delhi in 2008 in a ceremony for presidents of India, South Africa and Brazil. In 2009 his independent artistic journey began with the Apprenticeship Program in Magpie Umbrella Organization, Amsterdam under the Direction of Katie Duck. In his search for his own vocabulary he discovered a contemporary dance technique based on his intensive training in Kalarippayattu which he calls "Moving Martial". 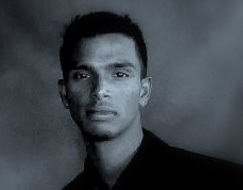 As a choreographer he has collaborated with many artists from different backgrounds. In 2012 he created TARQ a short dance film (as part of the Yellow Line Project, a residency in Gati Dance Forum, India). It has been screened in festivals in India and Sweden. In 2012 he was one of the resident choreographers at Gati Dance forum where he created a solo called A Dream of silence. Currently he is continuing his work on his unique voice as a mover, creator and teacher while he carries on with his travel and collaborations. Mehneer is a dance artist working in the field of Contemporary and Jazz Dance as choreographer, performer and teacher for the past 13 years. 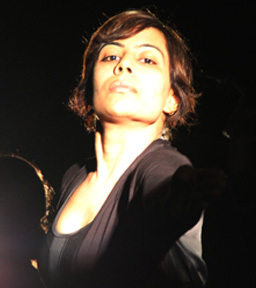 Involved in contemporary developments in dance with emerging dance artistes, she is the co-founder of Dance Dialogues in Bombay, an initiative to build an engaging and supportive dance community in the city; and a founder member of Gati, a Delhi based forum for dance performance, practice and research. She has performed at the IGNITE! Festival of Contemporary Dance, 2012 and 2010, Celebrate Bandra festival Mumbai 2011, NSD Theatre festival Delhi 2010, Kala Ghoda Festival Mumbai 2010, The Park New Festival Chennai 2009, Communal Harmony Day Gujarat 2006; among other performances. In her contemporary work she draws inspiration from dance-theatre, performance art, and improvisation and is interested in developing a personal movement vocabulary that defies classification. She is also deeply interested in Dance in Education working on Montessori and Primary School projects and workshops and choreographing Annual/Graduation day productions. Until October 2009, she taught Dance and Movement at The British School, Delhi. Trained in Contemporary, Jazz, Modern, Ballet and Kathak, she is a visiting faculty member at the Terence Lewis Dance Academy and has conducted workshops at The National Centre for Performing Arts, Mumbai. Archana is a dance artist trained in Jazz, Ballet, contemporary and modern dance since 13 years. An alumnus of The Danceworx Performing Arts, she has studied Limon Technique at the Jose Limon institute (New York) and has also trained at the Peridance Capezio centre in Manhattan. She is a certified Stott Pilates trainer as well. She has performed both nationally and internationally for festivals such as the Kala Ghoda festival in Mumbai and Fontys Dance festival in The Netherlands, among others. She has been associated as guest teacher with Danza since January 2012. Recently, she taught an intensive dance workshop to pre- professional and professional students at the Madach Musical and Arts school in Budapest, Hungary. She is an ardent writer and has written scripts for numerous theatrical and dance shows along-with articles on current affairs for the Asian Age. Her internet blog- "The Chatterina Chronicles" is her newest literary adventure. Currently she is a freelance artist and a keen collaborator withvarious independent practitioners. 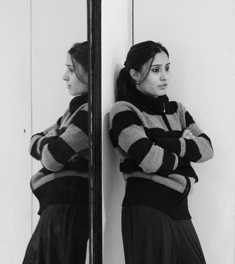 Her notable collaborations with Swati Mohan include- "Ways of seeing" ( as a dancer), the multimedia production "Uncoupled couple" (Directed by Smita Bharti) and lastly "In Retrospect" (A dance and theatre production) where she contributed as a choreographer and script writer. Her art motto is to find a common ground between safe dance technique and pure self- expression through patient and constant effort. Her current mission is to continue to hone her artistic voice through self-exploration, collaboration, artistic experimentation and reinvention. Donny is a Delhi based professional dancer, choreographer, teacher and Founder of AllStarz School of Performing Arts. Teaching and choreographing for the past 12 years, he started his dancing career with The Danceworx Performing Arts Academy. Trained in Jazz, Ballet, Contemporary, Urban Hip hop under both National and international Teachers, his main interests are Jazz funk, and Lyrical hiphop. He has worked with Bollywood finest actors like Akshay Kumar, Katrina Kaif, Kajol, Ajay Devgan, Upen Patel and Rishi Kapoor. He has choreographed and performed in Blockbuster Bollywood films Dhoom, Namaste London, You me Aur hum. Donny's passion for dancing has led him to travel across the country teaching, choreographing, and directing numerous musical productions in renowned schools and colleges. He is currently a guest faculty with one of Delhi/NCRs Finest IB board school, Amity International. Pathways being an year long stint he did in the past. He is also visiting teacher in Brooklyn Academy of Dance & Arts and Jump united. 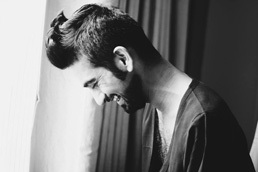 Lalit Khatana is a Delhi based contemporary dancer. During his association with Attakkalari Center for Movement Arts, he performed nationally and internationally in various festivals. 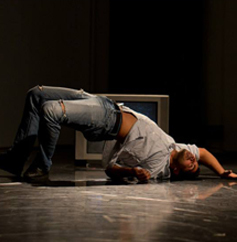 In 2013 Lalit graduated from Salzburg Experimental Academy of Dance (SEAD). He has had the opportunity to work with many European choreographers such as Richerd Siegel (The Bakery, France), Samir Akika (Unusual Symptoms, Germany) and as an assistant with Eulalia Ayguade Farro from Akram Khan Dance Company, London. 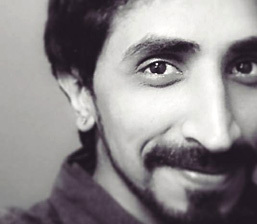 Gaurav have been pursuing dance for the last 15 years and has been trained under international teachers in Horton technique, Matt Mattox, Lyrical Jazz, Funk Jazz, Street Jazz, Chhau, Ballet, Contemporary, Hip-Hop, Salsa, Merengue, Tango, Yoga and Bollywood dance forms. 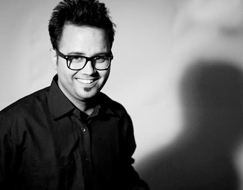 He is the creative director of Danz n Buzz which was set up in 2009. It has today grown into a value-based organization with a company of over 20 dancers, teachers and choreographers who are working together towards the cause of spreading dance and its many benefits and therapeutic effects. Tapasya is a actor, a musician (Violinist) and a core member of The Theatre Garage Project (TGP, since 2010). She is also graduate from National School Of Drama (2012-2015 batch) with an acting major. Her need to explore her self further guided her to London School of Music and Dramatic Arts where she studied a diploma in Classical acting (Shakespeare). Her journey with clowning started In 2010 when she joined a 15 day residency with TGP in Ramgarh, Uttrakhand. She was introduced to intensive body, acting and theatre clowning work in this workshop which later became an enormous motivation and turning point in her life. The world of 'Red Nose Clown' was fascinating and she has been associated with TGP ever since then. She is presently working on TGP's major projects with Cansupport, Cankids and Clown without Borders (USA). She has taught acting workshop at Scindia Kanya Vidyalay, Gwalior and Rashtriya Military School, Dholpur, Rajasthan 2015. Presently she is teaching theatre at DAV public school, Chander nagar and is working with British Council Kolkata with theatre workshops for children. She is also a performing member in Zangoora at Kingdom of Dreams. Sumiran graduated in May'13 from Pearl Institute of Fashion, New Delhi with the Best Design Collection Award and the " Woolmark Young Talent Award" . 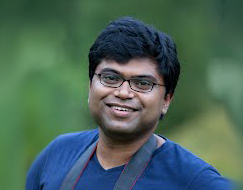 He has interned with "Gaurav and Ritika" & "Pankaj and Nidhi", Kalaraksha Bhuj, Kutch and Fabindia. While still in college he created a collection of home furnishing for Neemrana Fort Hotel. Currently, he freelances as a conceptual artist and taking baby steps towards Design Revolution. Sumiran Kabir Sharma's label "Annam" is a brand that intends to permeate and dissolve all stereotypes while embodying a soul of its own. Avi Arora studies in class 12th at the St Judes School and lives in Dehradun. Music is his passion and he plays guitar and drums. 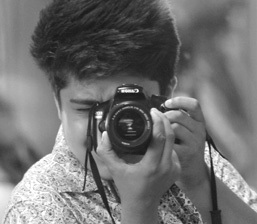 He is a sports enthusiast and is a district semi-finalist in Badminton.Photography is his keen interest and he wants to pursue it seriously along with his creative engagements. 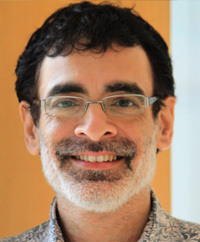 Arpan's primary interests are theoretical and computational neuroscience, and functional brain imaging. Understanding where (spatial) and when (temporal) task-related differences in information processing occur in the brain is fundamentally important for formulating basic scientific theories and investigating the mechanisms of brain dysfunctions. The key research question that he wants to address is how large networks of neurons coordinate amongst each other to form organized assemblies at only specific instants of time to orchestrate ongoing behavior. Demystifying the tunes that govern this neural orchestra will shed light to subtle differences in human brain function across normal individuals, across patients and eventually lead to developing neuro-markers for spectrum disorders such as autism.